It has been previously leaked and rumored a number of times, but today, ASUS Philippines itself has sort of confirmed that this latest device sporting an 18:9 aspect ratio display and a massive battery pack called the ZenFone Max Plus M1 is indeed coming to the Philippines this month of January. This is a pretty good news for the ZenFans in the country, especially those who are waiting for the Taiwanese company to release their first ever smartphone with 18:9 display. If you have read articles about leaks on this device, you probably already have an idea of what to expect from this phone. Whether all of those leaked information and images are real or not, we really can't confirm. But the following details that I am to talk about here are very very close to being the real deal when this phone goes officially out in the local market. 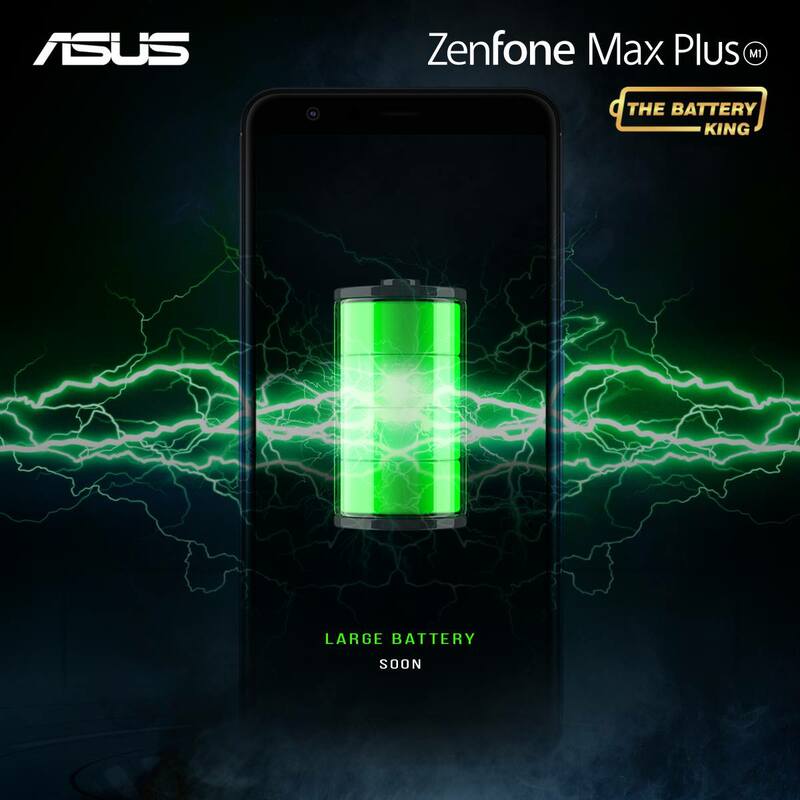 Asus is naming this phone as "the Battery King" mainly because it belongs to the Max series of ZenFone devices of the company which is pretty known for sporting massive battery packs that is doubling as a powerbank at the same time to other devices. The ZenFone Max Plus M1 is going to be equipped with 4130mAh battery. This will definitely ensure battery life to last for more than a day on a single charge. This is the most exciting part of this device (next to the rumored super affordable price sticker), the display. 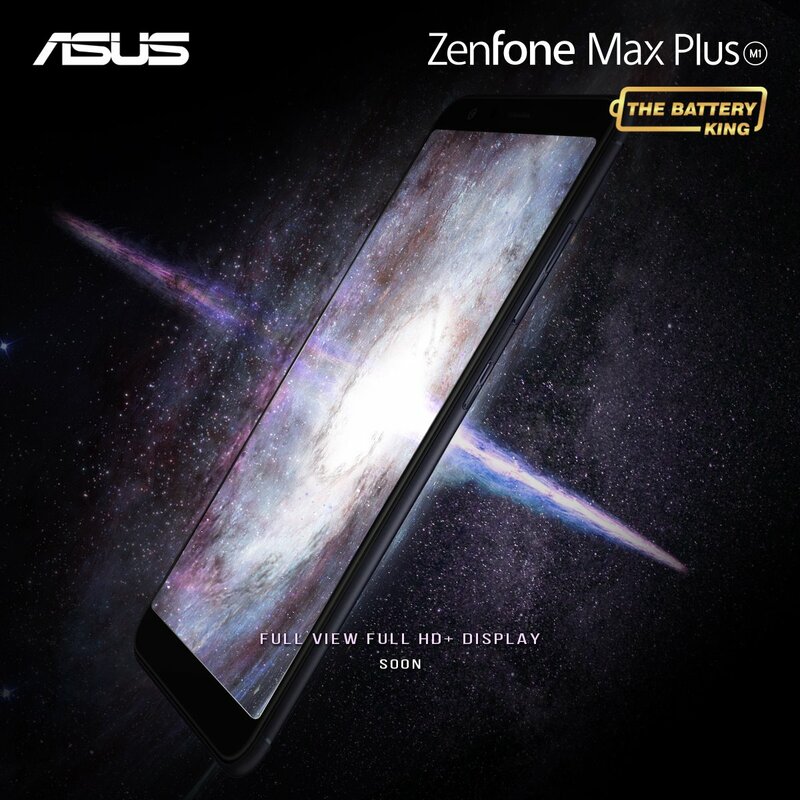 When released, this ZenFone Max Plus M1 is the very first smartphone from Asus to have the 18:9 aspect ratio display. What's more is, it is going to sport a Full HD+ resolution or 2160 x 1080. Alongside this kind of display technology, will be a 2.5D curved glass panel on the phone's front face adding more premium look and feel to it. 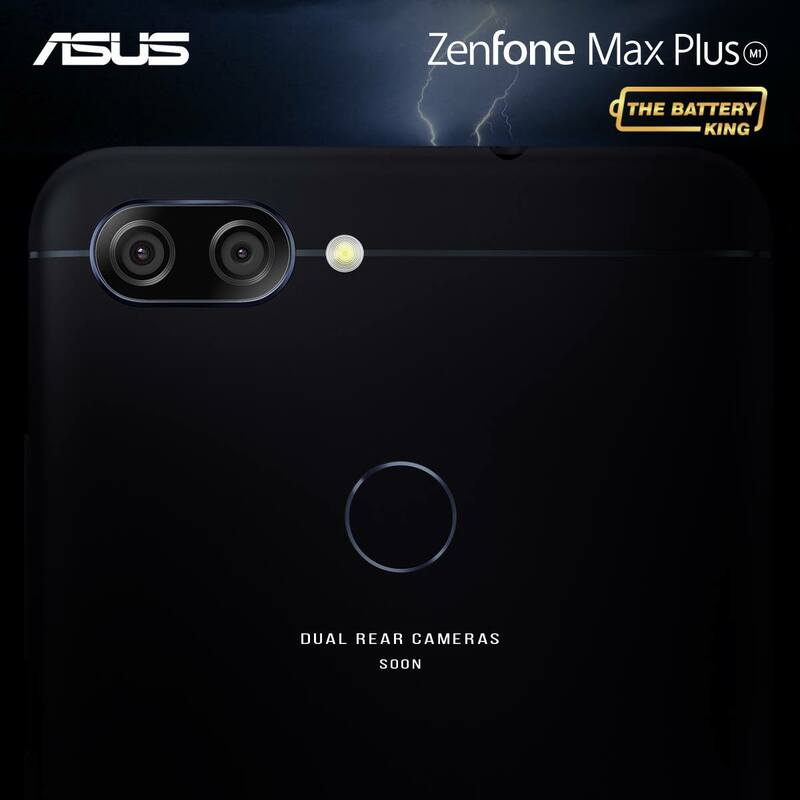 Being one of the latest devices from the ZenFone series, the Max Plus M1 is also going to offer dual rear camera set up. We are talking about a 16MP main shooter partnered with a secondary 8MP lens with wide angle aperture. While on the front side is an 8MP selfie snapper. We will learn more about this device on the launch date. 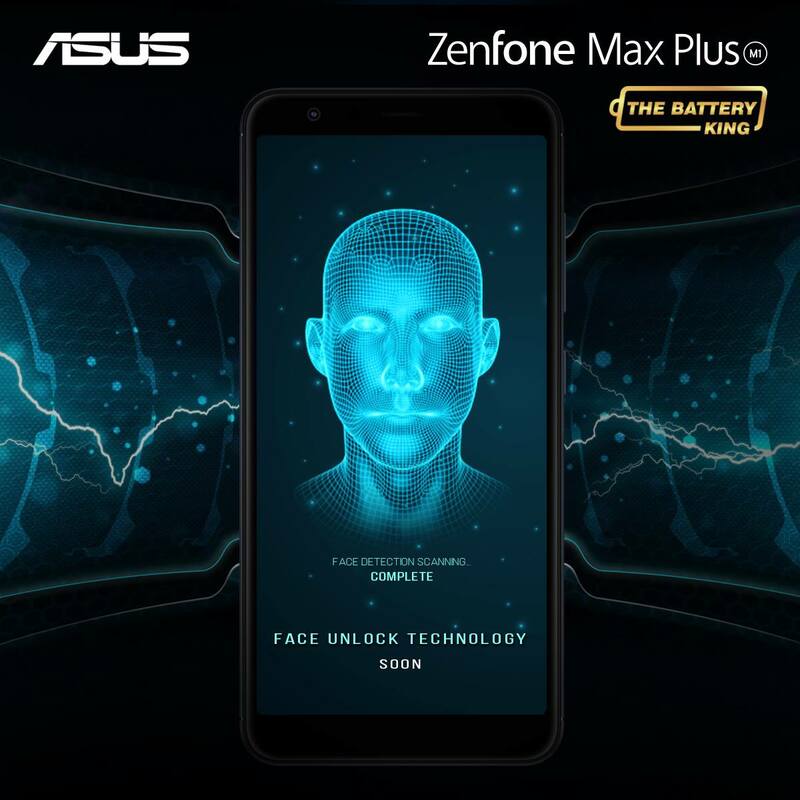 Asus is adding a new innovative technology to this new smartphone in terms of security - a face unlock feature. This is now one of the most looked-for features in a smartphone. And surprisingly, Asus is introducing it with this mid-range phone. So for fans who would like to try the Face Unlock for a much affordable price, this one is indeed the best and only candidate. That, of course, in addition to the Fingerprint Scanner which is most likely situated on the back panel with the cameras. While most of the details about the ASUS ZenFone Max Plus M1 have been revealed, there is one more thing that we are still missing here and this is one of the most important parts as to how the device will actually perform in the local market in terms of sales - pricing.